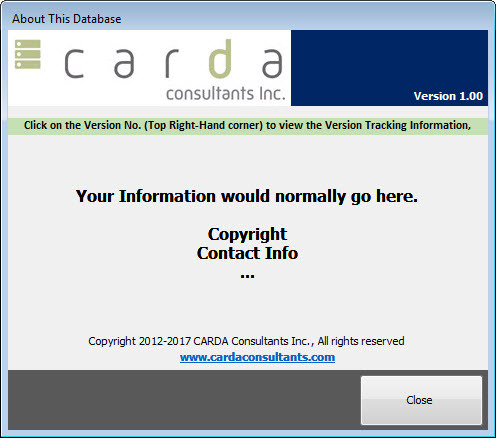 MS Access Version History Tracking – CARDA Consultants Inc. 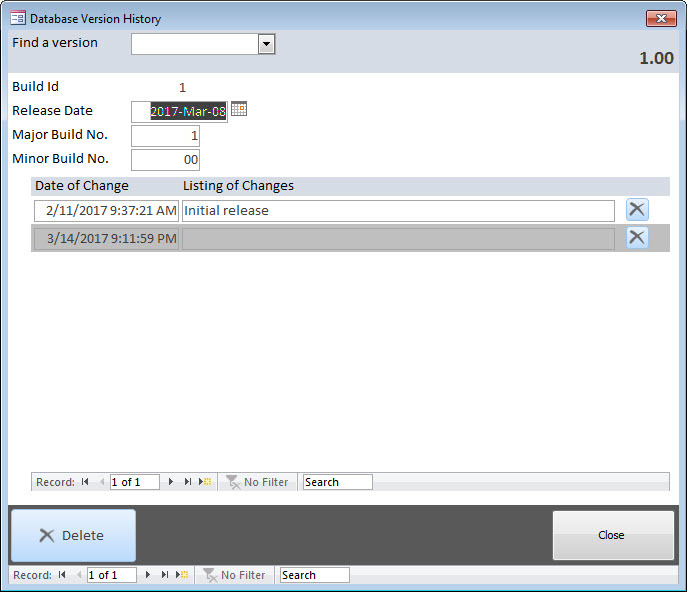 The MS Access Version History Tracking sample database enables one to easily log the version history of the database including Major and Minor Builds while logging what changes occurred between each Minor build. You can drop this into your solution and be up and running in no time! What do you do if you need to release multiple updates on the same day?! Below is a mockup About Form to illustrate displaying the database Version No. This could be integrated very easily in a menu or any other form/report of your choosing. This is the data entry form for keeping track of the database versions. Simply enter your Major and Minor build numbers and then list all the changes that were implemented. Feel free to download a locked down mde/accde versions (both version are included in the zip file) of the database to try out by using the following link.